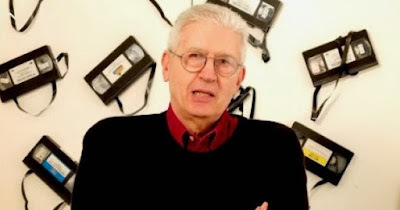 Cult Italian Director Sergio Martino attends 11th Cine Excess cult film conference and festival in Birmingham, showcasing genre talks and UK Premiere screenings. The Cine Excess Cult Film Conference and Festival kicks off its eleventh year under the title Fear and the Unfamiliar: Wrong Time, Wrong Place, Wrong Crowd, and focuses on how marginal groups and communities become a source of fear and fascination in cult cinema traditions. The festival, combining academic discussions and public screenings of cult horror films takes place at Birmingham City University and related screening venues in the region between the 9th - 11th November. Key highlights this year include a visit by iconic Italian director Sergio Martino (Torso, All the Colours of the Dark, The Violent Professionals), who will be judging entries from a young filmmaker competition, as well as presenting an exclusive screening of his 1972 Edgar Allan Poe inspired cult thriller YOUR VICE IS A LOCKED ROOM AND ONLY I HAVE THE KEY (1972), which is courtesy of Arrow Films. The screening of Martino’s film takes place on Thursday 9th November at 7.30pm, and will be followed by the PROFONDO MONDO concert dedicated to cult Italian soundtracks from 9pm onwards. Other films being screened as part of Cine-Excess XI include the UK theatrical premiere of a new documentary from Kim Henkel the co-creator of The Texas Chain Saw Massacre (1972) and filmmaker Brian Huberman. Entitled BESET BY DEMONS (2017), Henkel and Huberman’s film profiles the life and shocking murder of cult Texan actor Lou Perryman. BESET BY DEMONS screens on Friday 10th November at 7pm, with a Skype introduction by Kim Henkel and Brian Huberman. Additional UK theatrical premieres screening as part of Cine-Excess XI include Aaron B Koontz’ dark psychological thriller CAMERA OBSCURA (2017), about an Iraq war veteran whose still photographs repeatedly capture images of impending death. The film will screen on Friday 10th November at 8.30pm with a Skype interview from director Koontz. Saturday sees the UK theatrical premiere of LOU SIMON’S 3, the latest release from the female indie cult director, whose previous titles include All Girls Weekend (2016). In addition to its screening season, a three day conference on the theme of Fear and the Unfamiliar runs across the daytime sessions of Cine-Excess XI. Conference talks take place across 9 themed panels, with a keynote address by Professor Mark Jancovich (UEA), who will be discussing the topic of working class realism in 1950s and 1960s British horror on Friday 10th November. While the conference component of Cine-Excess XI considers representations of marginal groups in cult film, the special panel ‘Communities on the Edge’ profiles a current project by a Birmingham housing group, who are creating a zombie film short in conjunction with Birmingham City University staff and students in order to document residents perceptions of urban regeneration and its impact on community relations. Cine-Excess XI: Fear and the Unfamiliar: Wrong Time, Wrong Place, Wrong Crowd runs 9th-11th November, combining a three-day academic conference with visiting filmmakers, UK theatrical premieres and student media mentoring sessions. Full details of the conference schedule will be announced shortly. Events are held at the International Project Space, Birmingham City University, Margaret Street, Birmingham B3 3BX, with additional screenings taking place at the Birmingham and Midland Institute, 9 Margaret St, Birmingham B3 3BS and the Mockingbird Cinema, The Custard Factory, Gibb St, Birmingham B9 4AA. Introduced by director Sergio Martino, this cult adaptation of Edgar Allan Poe’s The Black Cat showcases the Italian filmmaker’s interests in narrative and stylistic complexity to good effect. The film focuses on the crumbling relationship between a destructive writer and his unstable wife, whose marital tensions boil over into a series of grisly murders taking place in the locality. Texas Chain Saw Massacre co-creator Kim Henkel’s new film is a compelling documentary completed with Brian Huberman on the life and brutal murder of the cult actor Lou Perryman. Includes Skype Q &A with Director Aaron B Koontz. Jack Zeller is an intelligent, solitary man who continues to struggle with events he witnessed as a war photographer. He receives a strange camera as an anniversary gift. As he develops the film, Jack realizes that the images show imminent deaths in the locations he has photographed. The need to find answers to a perplexing life is a central theme to this Serbian thriller about an amnesiac man who tries to recover his identity and find out who’s trying to kill him. Freddy finds himself in the biggest crisis of his life after being accused of attacking his wife. While his world collapses, Eddy, his childhood imaginary friend reappears, with devastating results. Acclaimed female horror auteur Lou Simon returns to Cine-Excess with her unrelenting new thriller. Aptly named, this dark character led piece centres on the violent interchange between 3 characters, when a man and a woman kidnap her abuser in order to extract a confession regardless of the cost. In the tradition of David Cronenberg and body horror cinema, Sequence Break is a surreal sci-fi romance, wherein a beautiful young woman and strange metaphysical forces threaten the reality of a reclusive video arcade technician, resulting in bizarre biomechanical transformations.